San Antonio is the cultural and culinary capital of Texas. Its treasures, edible and otherwise, inspire me and teach me something new every time I visit. 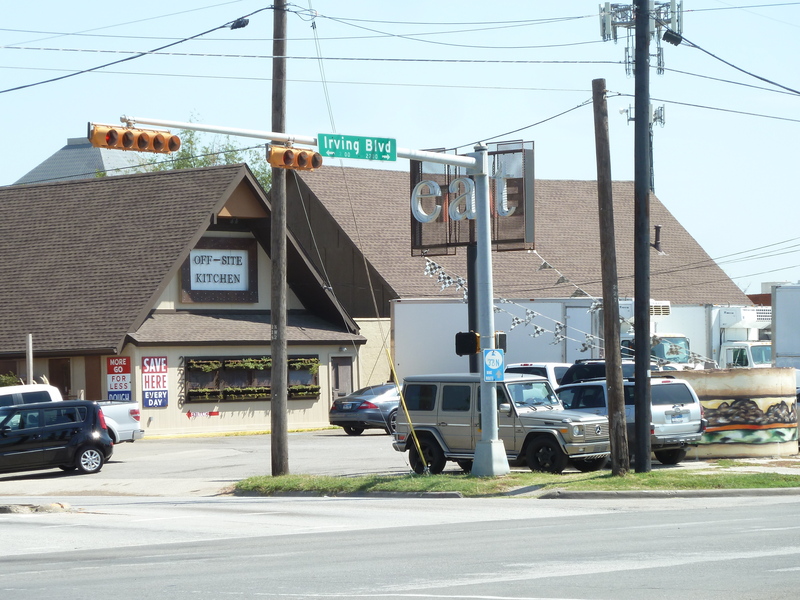 It’s also home to Garrett Heath, the scribe behind SA Flavor, a thorough, entertaining and knowledgeable blog covering the city’s food and culture, including this site. 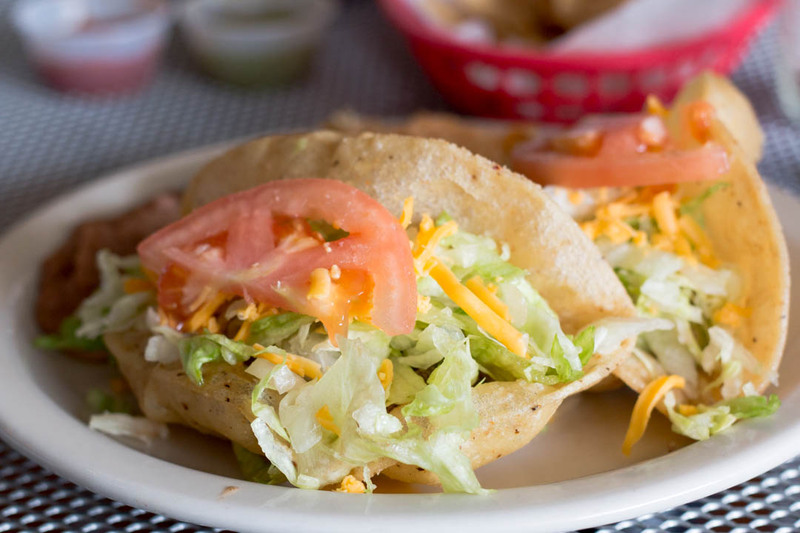 Aside from the breakfast taco, there is no other taco more associated with San Antonio than the puffy taco, a cumulus-light fried Lone Star gem. 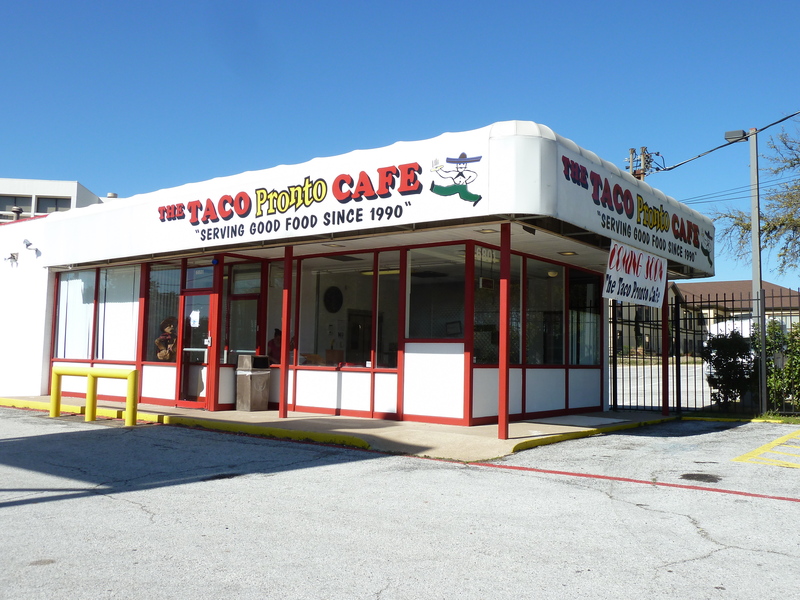 Garrett drops a guest post about one of San Antone’s classic puffy taco joints, just in time for Fiesta San Antonio. San Antonio has contributed so much to the world in terms of Tex-Mex. But while you might be familiar with some of the big names (chili, Fritos or Rico’s Nacho Cheese anyone? ), one item that has remained a regional staple, más o menos, is the puffy taco. 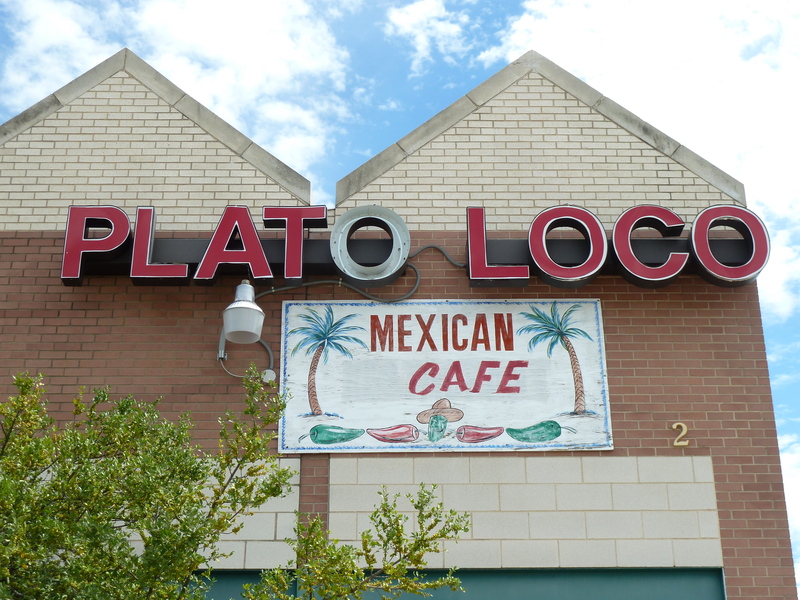 While you may not be familiar with this dish, it adorns many Tex-Mex plates, is the unofficial mascot of our minor league baseball team and the locals judge you by which restaurant you favor. 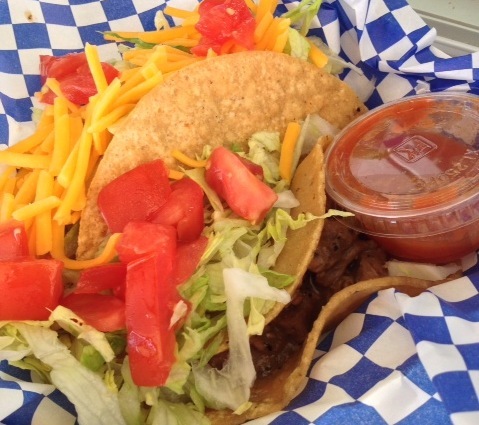 The characteristic that distinguishes the puffy taco is the shell. After a corn tortilla is pressed, it is lightly fried in oil, causing it to puff up like a blowfish. The cook then presses down in the middle of the tortilla with a spatula, making an indention that can be filled with picadillo, shredded chicken, guacamole, beans and cheese, almost anything you can put in a taco. “Yeow! 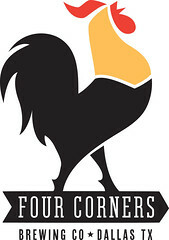 That’s hot,” screamed the young man working the fryer at Taco Wagon, which opened in June after a more than a year of renovation and taunting fans of the original Taco Wagon with its coming soon sign, the $5 pony rides in the old drive-in’s parking lot adding a new twist to the anticipation. His pain was a good sign. It meant the crispy taco I ordered would come with a freshly fried shell. You can be sure as soon as puffy tacos earn a place on Señor Locos’ menu, I’ll be one of the first customers in line, primed not only for the airy, crunchy treats brimming with lettuce, tomato and cheese, but also for the carnitas, the Baja-style fish, the shrimp and what’s being advertised as a ceviche taco. 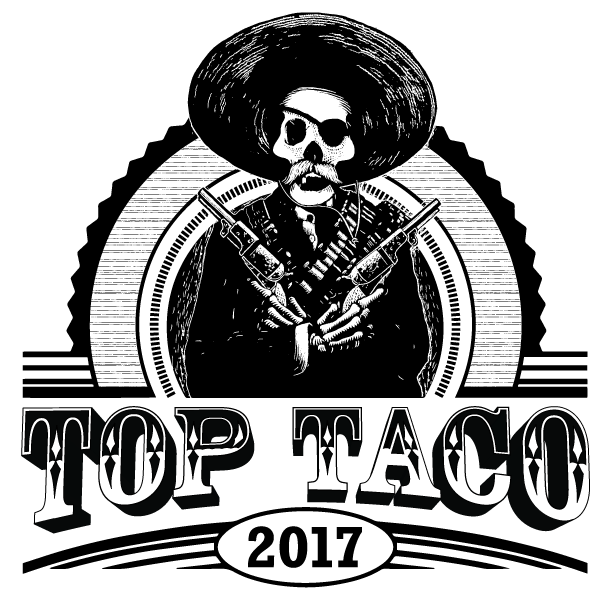 Within seconds of being seated, our waitress at E Bar Tex Mex boasted, “our taco de carnitas is an award winner.” It won best taco at the Great Taco Run, a Luke’s Locker-hosted race with a parking lot full of taco vendors at the finish line, I was invited to judge. The taco that day in September had the characteristic roasted flavors and seared edges of standard carnitas: non-traditonally prepared (read: not fried in fat). It was an approximate facsimile to the real thing, much like modern barbacoa (read: not pit smoked). The carnitas was given a shot of cheese, providing a pleasing pungency. I was at the restaurant, which opened in August from Eddie Cervantes (Primo’s Bar & Grille), to determine if it held up to the honor my fellow judges and I unanimously gave it. 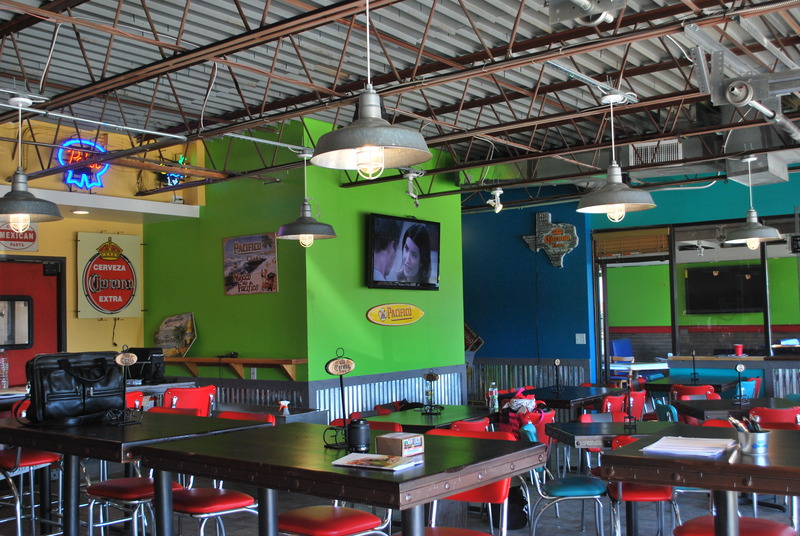 Amid construction, industrial workshops and medical office buildings sits the Taco Pronto Café, a greasy spoon with house-made flour tortillas and specialties like spam and beans. A wood-carved portly, bearded man, tattooed with the years of greetings and messages from customers and adorned with religious paraphernalia stands just inside the entrance. It’s the kind of eating establishment that even when frantically busy is a place where one can take a load off, sip coffee and decompress with comforting tacos, maybe menudo. Although we didn’t request the stomach soup, my family did order the fresh flour tortillas the waitress recommended. “The corn tortillas are store-bought. Go with the flour.” They transformed what could have been mediocre tacos into meritorious ones packed with stick-to-your-ribs goods, particularly the long list of breakfast tacos served all day. My family likes to hike, even the cantankerous three-year-old who pretends to lead a platoon (his mother and I) through Texas’ hilly wilds. Whenever and wherever we can, the three of us take to trails in search of animal tracks and “clues”—to what, the boy won’t tell us—in step behind our son who periodically commands us to “keep your eyes peeled, soldiers” or stop so he can take a picture with his toy Vtech digital camera. “One Shot” is an occasional series reviewing non-taquerías’ tacos. 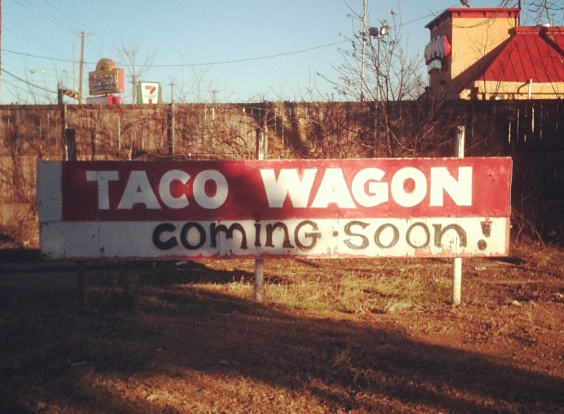 Last weekend, I traveled to San Antonio for some taco research, predominately of the puffy kind. While I was in the Alamo City, I had the opportunity to meet Diana Barrios-Treviño of Los Barrios Mexican Restaurant & La Hacienda de Los Barrios, San Antonio institutions. She was kind enough to show me how puffy tacos are fried at La Hacienda, which I recorded. The video makes for the perfect introduction to a new series on The Taco Trail: Tacolab. Each Tacolab installment will go inside home and restaurant kitchens for demonstrations, hijinks, disasters, etc. There might or might not be lab coats from time to time. 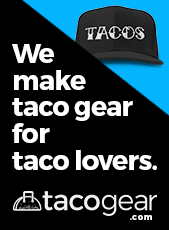 My quest for taco knowledge and great tacos is a multifaceted one. There are just so many types of tacos developed during millennia of history to maintain an unwavering focus. Lately, I’ve been fascinated by tacos of the fish and puffy variety, and during a trip to Austin for the Austin Chronicle Hot Sauce Festival, a friend and I got to indulge in some of the latter at Vivo. 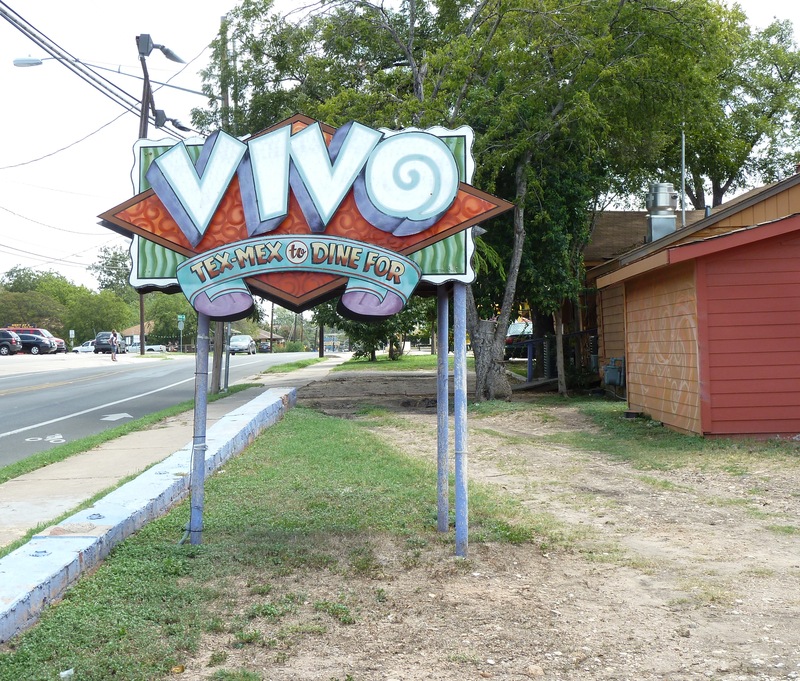 A restaurant surrounded by a dusty lot along Manor Road—one of two locations—near standard-bearer El Chilito, Vivo is difficult to enter. 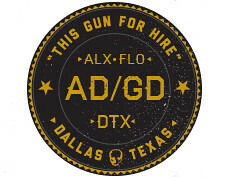 Don’t go around the front. Turn to the rear of the eatery in a converted bungalow. Then, find a business easy to enjoy your first time.